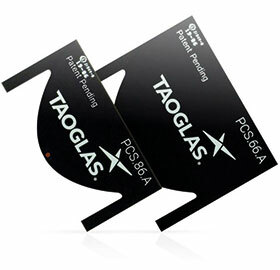 The Reach series of antennas from Taoglas covers all cellular bands and all sub-6 GHz 5G deployments. The PCS.66.A covers the 600 MHz to 6000 MHz spectrum supporting band 71, on a small form factor of 32,0 x 25,0 x 1,6 mm. The PCS.86.A is a slightly smaller form factor and covers 791 MHz to 6000 MHz, with a form factor size of 32 x 16 x 1,6 mm. The Reach series will help to address low-band frequencies as well as most new module chipsets, and they are backwards compatible with all 4G/3G/2G applications, including LTE, GSM, CDMA, DCS, PCS, WCDMA, UMTS, HSDPA, GPRS/EDGE, IMT, Wi-Fi, and CBRS 600 MHz to 6000 MHz. The patent-pending design uses printed circuit board material and innovative design techniques to deliver high efficiencies at all bands when mounted on the device’s main PCB. They are suitable for lower-cost LTE applications, especially IoT projects requiring wide bandwidth, and come supplied on tape and reel to allow them to be mounted via pick-and-place. Their high radiation efficiency over the entire operating bandwidth means that the total efficiency is only limited by the impedance mismatch loss. As a result, these antennas can be optimised via a matching network to the specific bands needed for any application. Efficiencies as high as 90% have been measured when the return loss is very high (-15 dB or more). If tuning is required, they can be tuned for the device environment using a matching circuit, or other techniques on the main PCB itself.